Gummi FM is designed and manufactured for marine applications, mainly for use on diesel-driven reduction gears, where consistent engagement under varying conditions is required.  Industrial Clutch Parts Ltd. distribute Gummi FM elements well suited for marine applications, mainly for use on diesel-driven reduction gears. Ideal for clutch slippage at moderate energy rates. Available in 5 sizes, in single, dual and triple configurations. Gummi FM Marine Clutch is a robust construction and utilises an integral rim and tube design. Similar to the FK features but the FM element provides characteristics that dissipates heat much quicker. Gummi FM ventilated friction shoes and as-molded linings allow for clutch slippage during forward and reverse maneuvering at low speeds, as well as periodic cycling engagements at high speeds. Gummi FM Marine Clutch has been designed and manufactured to transmit torque through its sidewalls, absorbing shock loads and vibration to protect the drive components from the transmission. The rate at which the air tube is pressurised directly affects the rate at which the torque increases. The rubber tube also dampens and reduces the effects of damaging vibrations. In addition, FM Marine Clutch meets ISO G16 standards to minimise engine room vibrations. It is also ABS and ABS PDA Approved. Available in 5 sizes, in single, dual, triple and split configurations.